Clubhouse is the best place. The best place to be. It's somewhere where friends are for you. CLARABELLE: And for me? MINNIE: Oh, yes. MINNIE [singing]: There's no other place that I'd rather be. 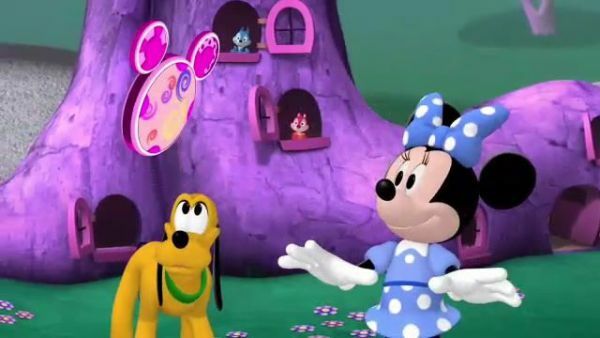 'Cause the Mickey Mouse Clubhouse is the best place. 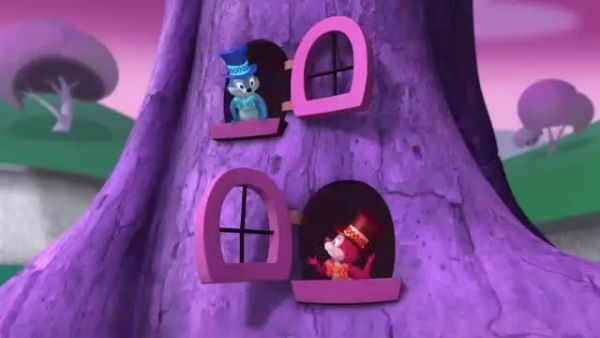 CLARABELLE: It's the best place. BOTH: Yes, it's the best place to be. CLARABELLE: Oh, my goodness. This Clubhouse of yours sounds like a wonderful place. MINNIE: Oh, it is. I know they do something because they're magic shoes. PETE: Did someone say magic shoes? Ooh, I want them. DALE: It's the bad witch. Bad witch Pete. PETE: OK, little lady, just hand over the magic shoes And there won't be any trouble. 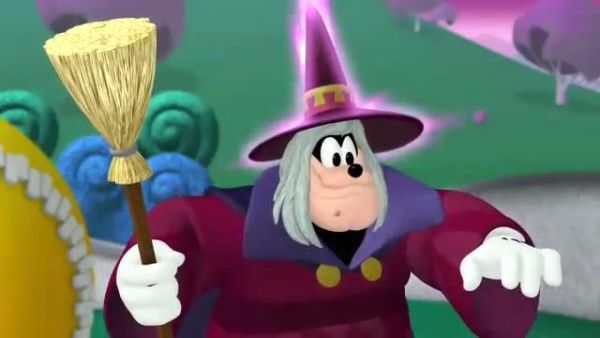 CLARABELLE: Witch Pete. 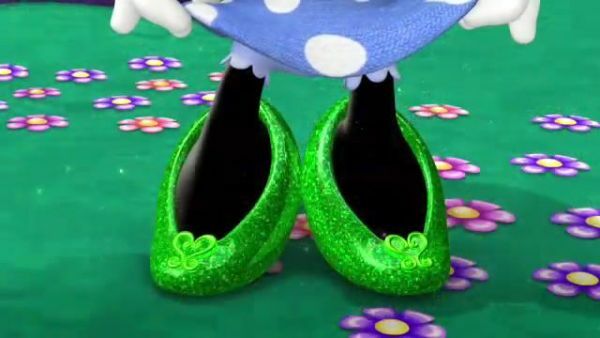 Those sparkly green shoes aren't for you. there is someone in the Land of Dizz who knows everything. MINNIE: Really? Who? 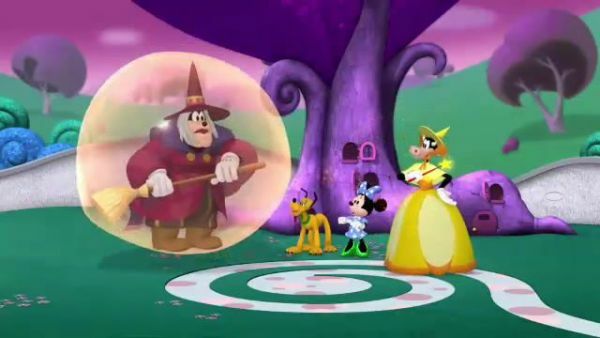 CLARABELLE: Why, the Wizard of Dizz. He's an amazing wizard who lives in the City of Handy Helpers. Maybe he can help you. MINNIE: Oh, I hope so. I have a feeling I'm going to need a lot of help today. 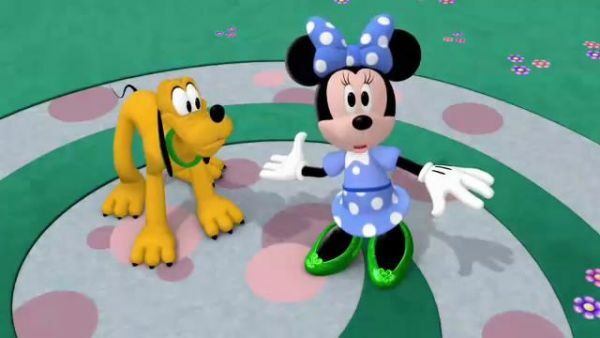 Will you help me find the Wizard of Dizz so that Pluto and I can get back home to the Clubhouse? You will? Oh, you're such good friends. 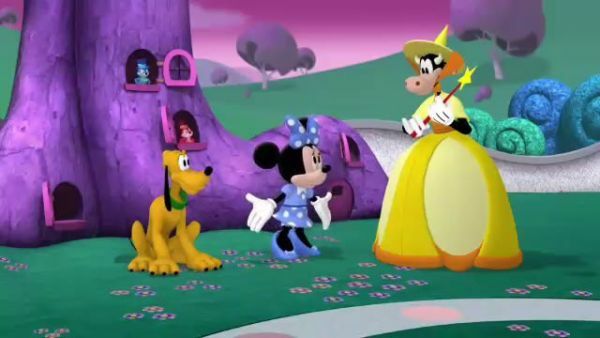 CLARABELLE: I'm going to give you some extra help too, Minnie. Get ready for some wonderful mouseketools. MINNIE: Ooh. 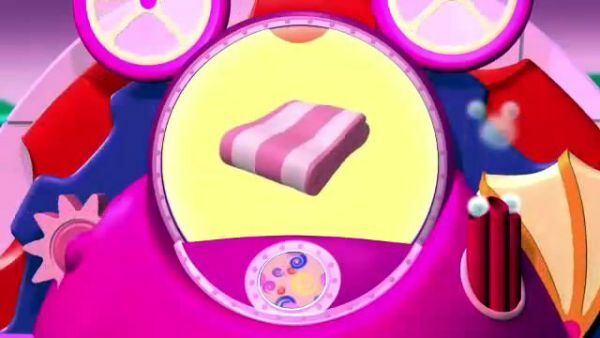 CLARABELLE: Behold. Here is the mouseke-dizz. And say hello to woodles. MINNIE: Woodles? You remind me of a friend we have at the Clubhouse. CLARABELLE: Mouseke-wee, mouseke-woo, mouseke-wiz. It's here you'll find the mouseke-dizz. 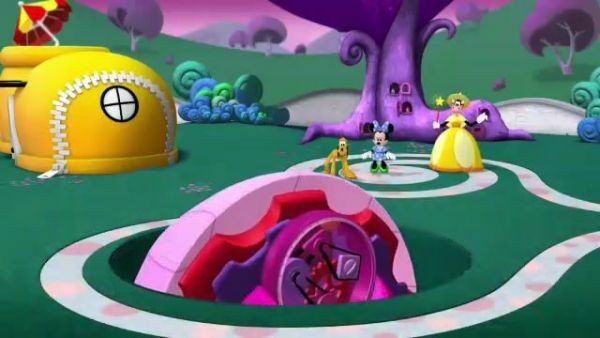 MINNIE: Woodles is bringing the mouseketools? CLARABELLE: Yes, he is. CHIP: Yes, he is. DALE: Yes, he is. ALL: Mouseke-wee, mouseke-woo, mouseke-wiz. Dance on over to the mouseke-dizz! MINNIE: Just call woodles for a mouseketool. CLARABELLE: That's his biz! CHIP: Yes, it is! DALE: Yes, it is! ALL: Mouseke-wee, mouseke-woo, mouseke-wiz. Mouseke-dee, mouseke-doo, mouseke-dizz. CLARABELLE: Let's see.